Life in Washington, D.C., is not the safe haven Yulia hoped for when she risked everything to flee communist Russia. Her father is reckless and aloof, and Valentin is distant and haunted by his past. Her mother is being targeted by the CIA and the US government is suspicious of Yulia’s allegiance. While Skandal is very much a continuation of the Sekret book, at the same time it is a very different universe. Foremost the setting is D.C. and we are the ‘good guys’. So that deliciously evil not sure who to trust element is missing. 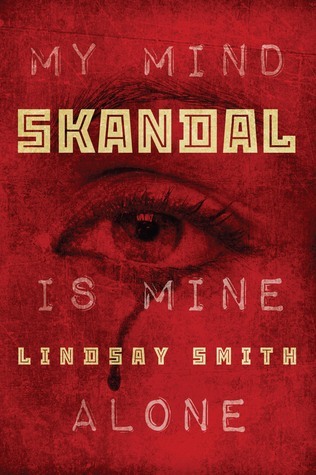 Smith adds enough twist and turns to keep the story interesting but the CIA never really crosses the line like the KGB. Darn Capitalists and their ethical codes. Smith does an excellent job bringing the story to a close and I would be very disappointed to hear that there was a book 3 in this series since everything was wrapped up nicely. This entry was posted in Historical Fantasy, Young Adult and tagged CIA, Historical fantasy, KGB, Lindsay Smith, psychic espionage, Skandal. Bookmark the permalink.